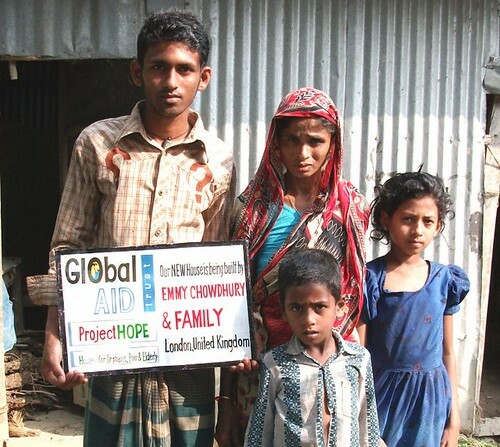 The aim of a Livelihood project is to help the people of Bangladesh become self-sufficient so they can support themselves and their families. Everyone has the right to a chance in life and that is what Global Aid Trust aims to deliver through livelihood projects. Through these projects, it will mean that the lives of people in Bangladesh will improve and that means children will benefit from improved nutrition, education and even help them to find work and support themselves. This all has a positive impact on the economy as well as communities where jobs could be created. In circumstances such as these, everything goes hand-in-hand. If they are provided with the right level of support, they can benefit the economy and the economy can then benefit them. Escaping poverty can prove difficult, especially if there is no support or assistance for those who need it especially in Bangladesh where poverty accounts for around 40% of the population. However, escaping it is not about hand-outs or emergency aid because it is about creating opportunities for people to better their lives, improve their prospects of a more secure economic future and enhance the lives of those around them. Livelihood projects have helped to achieve this and will continue to assist in a wide range of ways. Many families lack the necessities, including food and homes but they also lack the skills required to earn a living and support their families in the many ways that are required. This has a negative effect on education and opportunities unless there are options available to them and a commitment made that will offer them a glimmer of hope because opportunity is vital to their future. As a result of this, the Livelihood project offers individuals and families access to a wide range of options that can help them to get back on their feet and working towards a brighter future. The idea is simple yet the difference it makes is huge and that is what makes our livelihood project so rewarding for both us and those who require our assistance. The Livelihood Project is there to support those who are in need and it is aimed at helping individuals, families and even communities. Providing access to this support can boost morale and make people feel better about the way in which they live their lives. 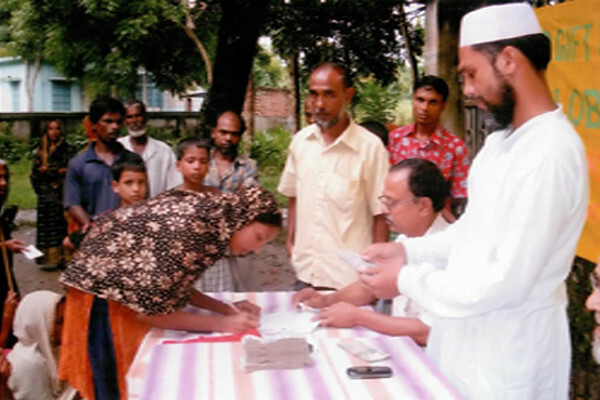 In Bangladesh, agriculture can play a huge role in the lives of a community or a family. However, the cost can prove to be difficult to manage, leaving people living in a downward spiral. The Livelihood project is designed to offer people a way of recovering agriculture through receiving seeds and tools, enabling them to grow and work the land so that they can eventually sell goods and offer the right support to their family. As well as agriculture, it can also provide access to livestock and any associated veterinarian costs that might be associated with this. This will enable them to keep livestock, sell livestock and breed, making it possible to keep a health livestock that also gives them a financial option. Many families or individuals simply need a start and that can be achieved through micro-grants. This gives them access to finance that can be used for many different things such as medical costs, new equipment or even feeding the family. Of course, even small businesses require a level of assistance because sometimes, trying to go things alone can mean running into significant problems. Therefore, small business assistance is designed to help businesses learn, develop, grow and offer the right training to staff to help them improve businesses. However, the training does not stop there, as training is available for individuals who are looking to improve their prospects and employability. Enhancing their current skills and learning new skills will enable them to offer flexibility to businesses as well as give them the chance of starting their own business should they have the desire to do so. The whole project is designed to work with local populations. 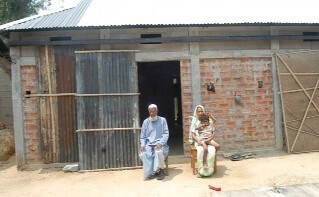 It provides a solution to many of the problems faced by a large portion of the population in Bangladesh but for just £250, it is possible to give someone the opportunity to make a living and live in a self-sufficient way.